Сергей Вл. Дроков: Год российской истории завершится сбором £1,8 млн. на снос дома, где родился младенец, ставший… А.Гитлером? Рождение нового стиля в воспитании патриотизма? Год российской истории завершится сбором £1,8 млн. на снос дома, где родился младенец, ставший… А.Гитлером? Рождение нового стиля в воспитании патриотизма? 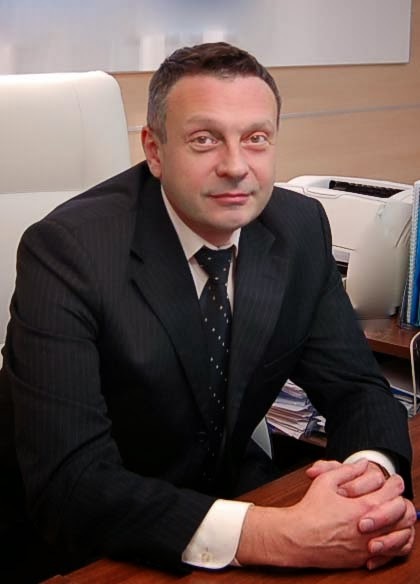 Даю без перевода и комментариев (только две уточняющие отсылки). A RUSSIAN MP is making a bid to buy the building where Adolf Hitler was born to destroy it – thus thwarting plans by the town’s mayor to turn it into luxury apartments. Frantz Klintsevich, an MP from the ruling United Russia party, is aiming to collect £1.8 million from supporters to buy the house in the Austrian town of Braunau-am-Inn. “I would buy this property in the blink of an eye if I had that kind of money myself, but I do not. If I were to receive financial help, I would buy the house and destroy it demonstratively,” he said. Diehard Communists, who still remember the 27 million Soviet citizens who died in the “Great Patriotic War” against Hitler, are in favour of his plan. “Everything that is connected to fascism should be wiped off the face of the earth. No one should even know that place ever existed,” said Vadim Solovyov, a member of the Communist Party’s State Duma fraction. Austria’s interior ministry has rented the house since 1972 from the owner and has been careful to sublet only to tenants with no history of admiring Hitler. 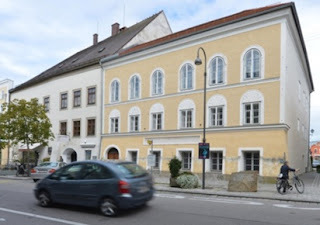 Town mayor Hannes Waidbacher opposes a Holocaust museum at the site and believes that turning the former Gasthaus zum Pommer pub into family homes would be one way of “de-stigmatising” Braunau. contained apartment. Such a plan, say experts, would require vigorous vetting of prospective buyers to ensure that a single flat – or indeed the entire property – did not fall into the hands of neo-Nazis masking their real identities and purpose behind a shell company or individuals. The little Austrian town, separated from Germany by a short bridge over the River Inn, is still visited by hordes of far-right fanatics each year who come to pay homage at the site where the future Fuehrer was born on 20 April, 1889. Up until a year ago it was the ironic setting for a workshop for the mentally and physically handicapped; the sort of people Hitler deemed as “useless eaters” and the first to die in the Third Reich’s euthanasia campaign before the Second World War. But it has been empty for a year now, with the state picking up the bill for the lease and a debate raging about what to do with the two-storey listed building. Mayor Waidbacher said: “Braunau has done much to process its history over the years. It is not necessary to build a Holocaust museum in the house as some have suggested. Braunau as a town is already stigmatised enough. Hitler spent only three years of his life here, and they were certainly not the most formative years of his life. “Why should I or others take responsibility for him? I was born 21 years after the end of the war.” The mayor said he was open to all suggestions, saying Braunau wants an “affordable solution for all. I can imagine all possibilities for the house.” But he is against turning it into a “House of Peace” or a “House of Responsibility” as Green Party members have advocated, believing the town has done enough atoning over the years for its most infamous son. It was in a room on the first floor of the three-storeyhouse at Salzburger Vorstadt 15 that Hitler’s mother Klara gave birth to her infamous son. She and her husband Alois, a stern local customs official, rented a suite of rooms above the pub and continued to live in it until 1892 when they moved to Linz. The house is still owned by the family after which the pub took its name. Owner Gelinde Pommer says she wants to sell because she no longer wants to have the responsibility for it». Напомню свой пост от 10 ноября 2011 «Для того, чтобы опровергнуть гипотезы о бегстве Адольфа Гитлера из Берлина в 1945 и проживании его (Евы Браун и двух дочерей) в Буэнос-Айресе до 1962, Россия обещает открыть ряд документов и артефактов».